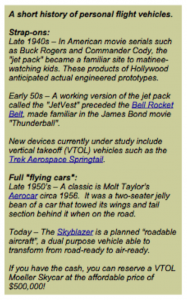 The precursor to Gravity Modification was a series of five speculative articles published in the international blog “OhmyNews International” from late 2005 through spring of 2006. These became the basis several years later for the book Gravity 2.0. The articles were focused upon the implications should gravity generation be proven to be real, economical and without deleterious environmental effects. I had only cursory knowledge of Extended Heim Theory at the time and chose to instead base the predictions and discussion of potential outcomes upon the work of inventor Marcus Hollingshead. Hollingshead had been a controversial figure in the field. First, because he was a biochemist by training rather than a physicist. Second, the descriptions of his experimental outcomes, though detailed and specific, were never replicated by others. After a planned demonstration of his technology was cancelled, he fell out of favor by readers who had discussed his experiments since first reported on a BBC bulletin board in late 2001. Though Hollingshead’s claims were never substantiated, his classification of effects and discussions of potential applications still apply to the suggested generator technologies put forth by Drs. Hauser and Droescher of EHT. Those first articles are posted below as they appeared in the online journal OhmyNews International. Some of the links in context may no longer be active. Gravity research is hot. Today, a satellite circles far above the earth measuring the effects of Einstein’s Theory of General Relativity. Using rotating spheres ten thousand times smoother than a billiard ball in a near-perfect vacuum, the Gravity Probe B experiment is gathering data to prove (or disprove) if speeding objects drag space-time with them in gravitational fields. In an adjacent area of research, several labs in Europe and the U.S. are vying to be the first to detect gravity waves. British oddsmakers Ladbrokes gives 6 to 1 odds that gravity waves will be detected by 2010 and several labs say it will happen even sooner. Other researchers are less interested in detecting gravity than in generating gravity. In other words — antigravity. As a youngster I read about “cavorite” the antigravity metal discovered by Mr. Cavor and which propelled a spacecraft in H.G. Wells’ Edwardian science fiction novel “First Men in the Moon.” Until now antigravity has existed only in the domain of cartoons and science fiction. 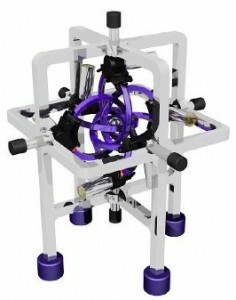 But in November of 2002 one inventor made public that he had stumbled upon a method to produce and control gravity. Lots of gravity! If successful it would change nearly every aspect of society and how we perceive our place in a three dimensional world. Like Mr. Cavor, Marcus Hollingshead is a British inventor. But before we stereotype him, he is also an IT consultant and was trained as a biochemist. In November of 2002 he began posting the results of his 12+ years of “tinkering” with geomagnetic models of the Earth on the Yahoo Magnetic-Levitation online newsgroup (which is no longer active). What he reported to other newsgroup members seemed fantastic and more in the realm of science fiction. with RP in the center (artist conception). His posts described a series of experimental devices quaintly known as “Bob.” An early Bob crushed his Black and Decker workmate table when it was switched on. Redesigns produced a Bob that produced a “darkening halo effect” around its center when its fast-rotating rings were powered in balance. When out of balance — it levitated! At first Hollingshead assumed that the forces being manipulated were magnetic. But a professor from Cambridge acting as a reviewer for his patent attorney countered that it was, ” … motive power without apparent thrust …”, “A new form of propulsion…”, “… characteristics appropriate to an anti-gravity device …”. Over a few months in late 2002 and early 2003 fellow experimenters coaxed the reticent Hollingshead to reveal increasingly detailed accounts of his construction and experiments with his most recent Bobs (now renamed versions 161 and 162). And then — silence. Since March of 2003 little mention of his ongoing work has made it to the newsgroups. Small wonder. At the peak of his postings he was inundated by thousands of emails a day. Over 100 uninvited “guests” showed up at Chepstow racecourse in February 2003 for a supposedly private demonstration of his technology to Sir Richard Branson of Virgin Airlines, Nick Cook of Jane’s Defense Weekly and others. This caused him to shun inquiries, falsely report that his device had been confiscated by the government and, alternately, that the whole thing was just a hoax. This despite his already having posted on newsgroups pages worth of descriptions and engineering specifications for his version 161, providing enough data for many enthusiasts to build their own computer models. And those computer models all seemed to fit together to form a complex-but-not-implausible design looking somewhat like a ringed Ptolemaic model of the solar system with an iron sphere at its center where the Earth would be. So were his claims real? Tim Ventura, editor of the newsgroup American Antigravity, keeps track of online newsgroup topics such as “tensor fields,” “lifters” and other “electro-gravitic” oddities which are the focus of enthusiasts ranging from weekend hobbyists to certified engineers. His experience has given him a good sense of each claimant’s level of credibility — and many are lacking. You can often identify those with empty claims by their inconsistent facts or their requests for additional funding to pursue unspecified research. To be sure, not all those seeking support for research are scammers. Some are legitimate researchers in the physical sciences working with accredited universities. At least one researcher held enough sway to be contracted both through NASA (in their Breakthrough Propulsion Physics Project) and to ESA (the European Space Agency). In these past few years Ventura has had several communications with Marcus Hollingshead and conducted one of the most recent and in-depth interviews with him. Ventura gauges his consistency and credibility as high. “[He] always sounded like an honest, rational man with a good heart,” said Ventura. Being neither a physicist nor having publicly solicited funding, Hollingshead was and still is an enigma. In one recorded interview (.WMA) Hollingshead described himself to Ventura as “a complete layman [in terms of physics]”, and that when it comes to what’s happening in the physics realm, “I really don’t understand it.” Apparently straight talk from an inventor who describes his discovery as “actually more of an accident.” But what he lacks in formal training in the physical sciences, he compensates with quiet persistence and constant tinkering with his device. What makes the “Marcus Device” (not to be confused with the pulp novel by Ib Melchior) work? Along with the strong nuclear force, weak nuclear force and electromagnetic force, gravity is one of the four fundamental forces in nature. Like electromagnetic force (light, radio waves, etc.) gravity gets weaker with the square of the distance. You move it twice as far away and its force is one quarter of what it had been. Move it four times as far and it diminishes to a sixteenth the force. But gravity initially starts off far, far weaker than the other forces. How much weaker? If electromagnetic force had a value equal to 1.0 you would have to move the decimal point 36 places to the left before you matched the weakness of gravity. It’s a billion, billion, billion, billion times weaker! 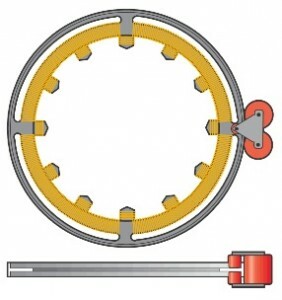 Schematic of ring, stubs and roller clamp layout (artist conception). The force of gravity affects all matter with mass. Electromagnetic force affects just electrically charged particles. Imagine how dramatically everyday life has changed since the harnessing of magnetic fields in the late 1880s for industrial and domestic purposes. These range from multi-story dynamos for producing electricity, particle accelerators, vacuum pumps, huge electric motors to drive industry — down to modest home appliances such as refrigerators, vacuum cleaners or clothes dryers. How the Marcus Device creates “gravity-lensing” (a term Hollingshead prefers to “antigravity”) is not well established. The nature of gravity itself is not well known. Several theories are in play: string theory, loop quantum gravity — but no proposed theory has suggested that such a device was within reach. Physically, the first generation of his devices that produced gravity-lensing fields consisted of six rotating flattened rings. 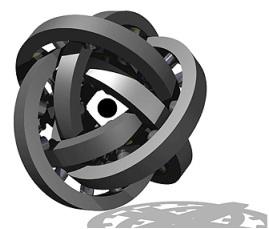 The rings were arranged in offset pairs, each rotating counter to the other. One pair was oriented in the x-y plane, another pair oriented at 90 degrees to that plane (x-z) and the third pair in the y-z plane. None of the rings had hubs. They were all powered by a set of roller-clamps, not unlike the wheels on a roller coaster car. That left the center to be occupied by a spherical capacitor (called the “RP” — for Reference Point) composed of layers of metal and non-conducting material. electromagnetic fields. Then he spun the rings at over 4,000 RPMs, timing the stubs to fire at specific intervals and connected it all to a high voltage power source capable of various frequency outputs. Obviously this configuration was not only dangerous to operate but also not one a mere weekend hobbyist is likely to replicate. that the RP focuses the fields generated by his device and pumps electrons into the nucleus of the iron atoms in the RP. In capturing the electron a proton is converted to a neutron and an atom of iron (Fe) becomes an atom of manganese (Mn). The RP becomes a source of gravitational energy just as a light bulb can be described as a source of light (electromagnetic) energy. The RP gradually loses its ability to focus the fields because it is increasingly composed of manganese rather than iron. This diminishing effect has contributed to some of the delays in bringing the technology to market. If you think that overcoming gravity through gravity-lensing sounds like science fiction, then the seven HAFF field effects associated with gravity-lensing are even more fantastic. Five of these fields: HAFF1, HAFF3, HAFF4, HAFF6 and HAFF7 have very practical applications. The others are still shrouded in secrecy. HAFF3 relates to thrust, traction and propulsion — just the thing for providing lift for different forms of transportation in the air or in orbit. This is the only field effect generated while the device is in motion. The other field effects occur when the device is stationary. HAFF4 constrains atomic motion and reduces temperatures 100 degrees K or more. This makes it suitable for transporting granular material that would otherwise shift its load, or bulk material degraded either by chemical reaction or internally produced heat. HAFF6 produces standing fields, shearing fields and membrane fields. Shear fields are suitable for manufacturing processes such as punching, shearing and forming of sheet material. Standing fields are suitable for well walls, windows, flood defenses (are you listening New Orleans?). Membrane fields reportedly can be struck with a mallet and the mallet bounces off. HAFF6 fields reportedly can be breached with HAFF1 fields. Less physical in their outcomes are HAFF7 fields which influence light and electromagnetic fields. Potential applications from these fields include lens optics, light sculptures and 3D displays. The demonstration of controlled gravity-lensing would be a sea change in everyday life. There isn’t a part of our society that wouldn’t be affected. Preparing the next generation of engineers, planners and designers to employ HAFF fields would be the first step. How would we imagine the “antigravity” age? Then, how do we design it? Demonstrating a gravity-lensing generator today would be the equivalent of demonstrating an electric generator in the early 1800s. It changes the rules. What will be the everyday applications of this technology in transportation, architecture and manufacturing? How will such a technology change social institutions, commuting, privacy or land ownership rights? How does a potentially disruptive and destabilizing technology establish itself without the creative destruction of existing industries? And how long before it just becomes part of the background of everyday living? When Tim Berners-Lee invented the World Wide Web it took entrepreneurs almost no time to imagine the social impact of browsers and Web sites. If gravity-lensing is successfully demonstrated it could be adopted faster than was the Web. No doubt there will also be a Web extension for gravity devices, though its difficult to imagine now what it would be. Like the Web’s spawning of “i” devices (iMac, iTunes, iPod) and “e” services (email, e-commerce, e-learning, e-government), start looking for “g” devices and services to proliferate. If gravity-lensing is demonstrated then public policy planning can not afford to wait for wide public acceptance. Every industry potentially threatened by it would begin lobbing for state legislation restricting use and protecting existing commercial interests. Recently, citywide wireless broadband technologies have similarly been blocked by protectionist state legislation backed by threatened cable and telecom providers. Federal and international regulations should be established to develop standards for usage. International bodies overseeing transportation, trade, manufacturing and other arenas should seek coordination of oversight. Each nation, province, state, even local municipalities would need to develop plans for embracing a technology that could potentially disrupt their economic base in unforeseen ways. Just navigating those waters would be a growth industry. But it’s also an opportunity for institutes and schools of public policy, technology management, transportation, architecture and design to anticipate, forecast, and get ahead of a pending (gravity) wave. Gregory Daigle is a consultant in social technologies and e-learning, and a former professor of industrial design. A third party sent a draft version of this introductory article to Mr. Hollingshead before publication. No reply was received before going to press. In the 1960s the Saturday morning American cartoon The Adventures of Rocky and Bullwinkle introduced the world to upsidaisium, that fanciful antigravity element discovered by the uncle of Bullwinkle J. Moose. In the show the title characters triumphantly rode their upsidaisium mine (actually the mine AND the entire Mt. Flatten) to Washington D.C. Sadly, upsidaisium does not exist, though the dream of antigravity flight endures. In Part 1 of this series the term gravity-lensingreplaced antigravity as a description of the phenomenon observed by inventor Marcus Hollingshead. But what should we call its range of effects including propulsion, standing fields, etc? If gravity-lensing aligns with the Earth’s gravitational field then it produces the effect of more than 1G of gravity, also known as hypergravity (hG). 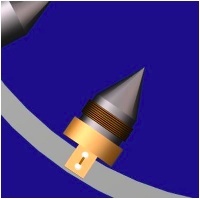 If it is contra-aligned then it produces less than 1G of gravity, also known as microgravity (mG or μG). What would a future with modified (either hG or μG ) gravity — call it gMod — look like and what are the potential impacts for propulsion? Attempts to modify gravity for propulsion are not isolated to inventors. NASA, the European Space Agency (ESA) and BAE Systems (a major British aerospace company) have all conducted gravity research. It has been reported on by corporate journals such as Business Week, mainstream magazines like Popular Mechanics and in scientific journals such as theAmerican Institute of Physics. How could an inventor have succeeded where NASA failed? Without verification the claims about such a device sound like science fiction. But many inventions anddiscoveries were science fiction until the very day they were revealed. If true, what we’ll see is that the long dreamed of skycar of the future may be preceded by a sky conveyor belt and the futuristic spaceport will look more like Duluth harbor than Star War’sMos Eisley. In 1979 the visual futurist Syd Mead depicted a family arriving at a picnic in a hovering station wagon in his book “Concept” for U.S. Steel. 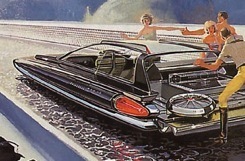 That friendly image of a hovering automobile contrasts greatly with the flying police vehicles Mead later designed for the dystopic film “Blade Runner”. In that movie the spinner vehicles were a symbol of police power and authority while common citizens were restricted to ground transportation. As the film “The Fifth Element” portrayed, traffic can also take over a city and dehumanize it. As early as 1940 Norman Bel Geddes in his publication “Magic Motorways” portrayed a city dominated by the automobile with nothing of human scale in sight. Would flying cars doom cities to become the megastructures of film, or is that just in the movies? First, is it a car? All but hovering vehicles that rely upon ground-effect for lift are classified as aircraft under the UN’s International Civl Aviation Organization (ICAO). So flying cars that lift more than a few feet off the ground might be classified as aircraft, but a gMod craft would operate like no known aircraft. It would be highly maneuverable and operate low to the ground like a helicopter — but it’s not a rotorcraft. In the U.S. the closest applicable Federal Aviation Association (FAA) category is that of an airship, an engine-driven, lighter-than-air vehicle that can be controlled in flight. Since a gravity airship is not conventionaland not a gas-filled envelope (as required by the FAA) it needs to be called something else. For now, let’s call this vehicle a gravityship because rather than being dependent upon the force of Earth’s air to produce buoyancy it is dependent upon the force of Earth’s gravity. As a commuter vehicle it would probably operate in Class G airspace. It is uncontrolled airspace where helicopters operate: altitudes 1200 feet above ground level (AGL) and less. In Class G airspace the rules for right-of-way are a little like boating, where the slower and less maneuverable your craft the greater your right-of-way. For example, a motorboat yields to a sailboat, which yields to a canoe. In Class G airspace a power-driven, heavier-than-air craft gives way to airships, gliders and balloons. Hang gliders or cluster balloonsmay be of some concern, but the real issue here is rules of the HIGH-way when encountering other gravityships. 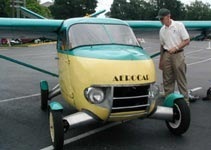 1956 Aerocar: a personal flying car. Look up. Not many blimps in the sky today. But if personal gravityships are produced then the skies are going to get crowded. Where do you “build” a highway in uncontrolled airspace? Is it a corridor above existing boulevards and interstate highways? Why even follow a highway if you are not constrained by lanes? Straight line express to your destination? Hubs? Spokes? Interchanges? Sounds confusing and dangerous. We will need an airspace control system to keep us safe. Luckily there is a candidate technology for airspace that is already positioned to make our land-based highways safer. It’s called the Intelligent Transportation Systems (ITS). The U.S. Department of Transportation is using the ITS architecture to integrate intelligent vehicles with intelligent infrastructure for a safer, more efficient transportation system. Implementing a similar system of intelligent sensors and adaptive integrated systems into gravityships would be a necessity. Without ITS for airspace it would be like watching a demolition derby — overhead! So smart sensors and ITS help vehicles avoid collisions and manage incidents. But what about defining the boundaries of lanes? Keeping arteries flowing smoothly? There could be floating traffic signals and buoys (our thanks to the Jetsons for those innovations), but why clutter the sky with added devices? This is where efforts to establish wireless cities might mesh with the use of gravityships. Dozens of cities across the globe are planning muniwireless networks as alternatives to DSL and Cable modem connections to the Internet. One concern for deploying wireless is the power of the signal to punch through your home’s exterior and interior walls to reach your receiver. But this is not a concern when you’re trying to detect the signal above the nodes where there are no barriers. When you have a clear view of a node it’s known as line-of-sight (LoS). The LoS range for even older wireless technology is measured in the kilometers. The altitude limit of Class G airspace is less than half a kilometer. That’s plenty of range for sending information to vehicles flying overhead. Information to navigate, communicate and locate (see insert). Question: How do you ensure the success of a new technology today? Answer: Make it an essential strategy for the corporate giant Wal-Mart. This has been true with RFID chips and it could be true with gMod. The biggest horizontal industry in the world is logistics (getting raw materials in, processing of products, packaging them, transporting them, warehousing them, distributing them, retailing them to the consumer). Wal-Mart succeeds as they do because they own the complete supply chain. If Wal-Mart knew there was a technology to transport and distribute their goods for pennies less on the dollar, they would bring it to maturity. A grid of pilotless platforms controlled by ITS and carrying a wide range of cargo containers could navigate between cities/nodes by satellite GPS and within cities by Wi-Fi. Shipping goods between cities is perhaps the largest growth area for gMod, even surpassing transport for people. The system could be designed using the model of the Internet. Individual packetized shipments could travel point-to-point to their destinations as if they were physical manifestations of TCP (transmission data) packets used to deliver information over the Internet. Distribution centers would be unnecessary. Local point-of-delivery transport within neighborhoods could be navigated by means of municipal mesh wireless location services tracking packages, confirming delivery and alerting the receiver of delivery via their IP or email address. Recipients could even change the final delivery destination on-the-fly by querying the system. This would allow recipients to have packages follow them to whatever location they might be within a city. It would take many years of testing before such a freight-based ITS would be ready to graduate to human passengers in gravityships. Until that time the skies would be mostly filled with platforms and packages. Only the occasional early-adopter would fly their unlicensed experimental gravityship (or perhaps a gravitycycle?). Is There Spaceport in Your Future? Paul Horwood, moderator of the Antigravity_open-source newsgroup, relays in a posting that Hollingshead claims to have a contract with the European Space Agency to produce propulsive drives. Further, that he has over 50 million pounds in investment funds and employs 50 people. How would ESA use such a drive? The International Space Station and shuttle demonstrated the potential for large-scale production of new materials and pharmaceuticals in microgravity. But an ability to control gravity through gMod would mean that microgravity and zero-gravity production could be conducted on the ground in conventional manufacturing facilities. Factories in space would be unnecessary. So the remaining rationale for going into orbit would be for transporting people and raw materials. The people interested in traveling to space would be either space tourists or astronauts. The Ansari X Prize was a step toward space tourism and commercialization. Virgin Galactic (owned by Sir Richard Branson) has now set plans for the first commercial spaceport to be located in New Mexico and be completed by 2009 or 2010. Tourism is the necessary focus of this effort because, even though the tickets are $200,000 and there are hundreds who have signed up, the ships can not reach orbit. Nevertheless, it should be quite a ride! If you can use gMod to deliver platforms inexpensively above the atmosphere then every one of them becomes not just a satellite but a geosynchronous satellite, suitable for all sorts of communications needs. They can move synchronously above the Earth because platforms wouldn’t have to reach orbital speed (17,000 to 18,000 mph) to stay aloft. The Earth only rotates at a bit over 1,000 mph at the equator, which is why one of the first jobs for the platforms would be to remove the millions of pieces of debris traveling at orbital speed. Why? Because they are traveling past you faster than a rifle bullet! Payload for the platforms would be astronauts and rocket fuel. Remember that gravity decreases with the inverse square of the distance. It may be an inexpensive means for launching and landing compared to rockets, but between planets (or the moon, or asteroids) you’d get more propulsion from rockets. Saving your rocket fuel for the large distances between destinations decreases transit time and allows for greater payloads on the return trip. Minerals from the moon? Corner the market on hematite “blueberries” from Mars? Possibly, but the business argument is still difficult to make. Even so, someone will want to have their kitchen counters built with slabs of sedimentary stone from Mars or mine the kimberlite pipes of Olympus Mons. Space travel suggests establishment of a spaceport. Traditional rocketry required a large area near open water or desert for boosters to fall (or fail) downrange. Kennedy Space Center is located on the coast of Florida. The Canadian Space Agency operates the Churchill Rocket Research Range on Hudson Bay. Using gMod propulsion there would be no boosters and no downrange — just up. A more fitting model reflecting the smaller area needs would be a large airport or shipping port. Each nation, region and state would want to create their own facilities to benefit local commerce and to draw talent, jobs and investors. A major international airport and shipping port already transporting millions of tons of cargo a year would be a prime candidate for the location of the first industrialspaceport. Okay. Where do we locate the first one? Remember Bullwinkle J. Moose of upsidaisium fame? His home was Frostbite Falls in northern Minnesota. How fitting it would be to establish the first industrial spaceport in northern Minnesota at the tip of Lake Superior. The city of Duluth has an international port there, one of the largest in America as gauged by tonnage. It has an international airport and a world-class aircraft maintenance facility. The B. J. Moose Spaceport. Kind of catchy. Part 3 will look at Living in Airspace. Gregory Daigle is a consultant in social technologies and e-learning, and a former professor of industrial design. Some day architects may design buildings that float in the sky. Prior to that day someone should ask, “Why build them?” Why build any architectural scale structure that levitates off the ground? How will this change cities? Who benefits? And who gets hurt? Part 2 of this five-part series explored the possibility of modified gravity (gMod) devices, personal gravityships and local spaceports. This segment looks at the potential impacts upon architecture and urban rights – plus a small semantic revolution. Architects are visionaries. They have often created images of what the fusion of transit and metropolitan architecture might look like in the future. Some of those futures have already come and gone yet those cities of the future have rarely appeared. Vincent Korda’s Everytown from the 1936 film “Things to Come” are some of the more notable attempts at visualizing futures that never appeared. Yet their contemporaries are still producing future cityscapes reflected in popular films. The Star Wars city/planet Coruscant with its personal vehicles flying under arches and through large passageways reminds us directly of Leigh’s images from almost a century ago. Landing platforms are precariously cantilevered and entire buildings are poised upon ultra-thin spans. The control of gravity in architecture is implied but not overt. In the American cartoon series The Jetsons their homes, workplaces, even the corner grocery floated above the … well, we rarely did see the ground in that show. Entire floating castles and cities have also been portrayed in art and film. The “magic realist” painter Rene Magritte challenged our assumptions and painted a castle of stone on top of a huge oblong mountain floating over a sea. 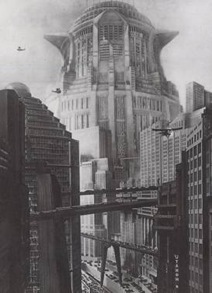 In films such as Star Wars Episode 5’s “Cloud City” and in science fiction literature such as James Blish’s “Cities in Flight” cities are complete self-contained municipalities with little connection or reference to what lies below them. More conventionally, the “Freedom Ship” is a plan for an ocean liner city that floats on the world’s oceans circumnavigating every three years. Taken as a template for cities-in-the-sky this model for residency, school, work and trade may have merit. The first airborne municipality may actually be a ship — or at least a barge. Prior to hurricane Katrina the thirteen hotel-casino barges of the U.S. Gulf Coast had an occupancy of many thousands and was that nation’s third-largest casino market. They will expand as they rebuild. Casinos have the capital to invest in novel technology such as gMod and employ it in their marketing strategy as an attraction. More seriously, the ability to dispatch and relocate temporary facilities upon any terrain can aid disaster victims. Autonomous flying structures could benefit aid relief ranging from housing for earthquake and flood victims to mobile units for humanitarian aid workers and surgical teams. The second part of this series already addressed transportation corridors for the daily commute and delivery of goods in and out of cities — and this connection between air transit and central cities is not new. The original scheme for zeppelin airships of the 1930’s was to be a fleet of airborne commuter ferries. They would fly their route then moor at structures over cities, landing on the ground only when weather or major maintenance was required. The Empire State Building was to have been one of those original mooring stations for zeppelins until tests with smaller dirigibles made it clear the system was not practical. Flying architecture faces the same challenge: exciting vision, but difficult execution. GMod could be utilized to provide a range of gravity augmentations for buildings. They could range from gravity-assist for otherwise conventional buildings to non-tethered flying structures. At the low end of impact in this range a combination of HAFF fields could be used to reinforce conventional buildings against earthquakes and high winds without affecting their architectural aesthetics. The next step up would be hybrid solutions combining gravityship technology and conventional buildings. In this scenario building cores may be traditional but your vehicle “docks” at your residential balcony. Or in a commercial building your vehicle docks to the exterior becoming an extension of your office. This has the added benefit of solving the parking issue (images of future cities rarely show parking lots). This hybridization may greatly impact a building’s aesthetics but less so the engineering. Pushing the edge of the technology further would invoke cantilevered structures and attenuated supports not possible with current building materials alone. Cantilevered designs are available today with existing materials and technologies, but a disproportionately large engineering effort is devoted to making them both possible and safe. With gravity-assisted (think of it as gravity-defying) architecture remarkable arches and spans would be possible. However a high degree of risk exists since the construction materials would not support the structures unaided. By employing gravity technology to fully float a structure the architects and engineers take a huge risk. Finding liability coverage for such a structure would certainly be a challenge. Services such as electricity, water, sewage, garbage pickup, etc. would either have to be transported to and from the site or the structure would have to occasionally moor/land to be provisioned. 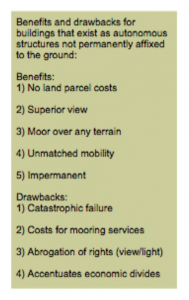 There would also be huge negative economic impacts on land values. If flying structures were legal then why pay for prime real estate? It could lead to plummeting prices in the dense urban canyons of New York and Tokyo. But before that can happen, what new regulations would have to be enjoined to allow buildings to float over existing cities? Does any city currently possess zoning laws applicable to architectural structures not in contact with the ground? In 1926 the U.S. Air Commerce Act declared that the “navigable air space” of the U.S. was a public highway, open to all citizens. More recently, the Food and Agriculture Organization (FAO) of the U.N. stated in its 2003 Multilingual Land Tenure Thesaurus that, “flight over the land would generally not give rise to a trespass, as long as the flying height was reasonable in the context of current wind and weather conditions.” So flying over other properties is apparently legal, even for a building. But is a flying structure a building at all? Despite its size, a motor home is still considered a vehicle, though in a different classification than your family car. Would a flying residence be considered just a different classification of gravityship? If so, must a ship (private property) conform to laws affecting land (real property)? Two areas of great potential conflict in this arena are Right to Light and Right to View. Right to solar access has been a common topic in urban development circles. No matter where you place it, a structure is going to cast a shadow. In Japanese the “sun-shadow” law guarantees non-commercially zoned residences measured right to sunlight and allows blocking of sunlight only if the builder gains unanimous consent from neighbors. In many U.S. urban cores a building can not be built taller than code allows unless a transfer of an adjacent building’s Transferable Development Rights (TDRs, or, “air rights”) can be arranged. This helps preserve the view for commercial properties. For single family residences a right to a view usually does not supersede another owner’s property rights. But when conflicts do occur then easements for real (immovable) property provide a legal mechanism for balancing those rights. What is needed is an easement for mobile property. Call it roaming. It might operate much like the shared mobile agreements between cell phone service providers. Owners willing to shift moorings to achieve desirable outcomes might be given rights to roam more freely. Such nomadic structures could ameliorate long-term conflicts by guaranteeing their transience. Transience might even provide some benefits. For example, scheduling large structures to moor above major highways would provide shade during early and late commutes, thus reducing glare-caused traffic accidents. Or areas desiring additional sunlight in winter might schedule the presence of structures with reflective exteriors to follow the path of the sun, providing reflected sunlight when needed. Floating dwellings pose two challenges to demographers: increased transience and verticality. Census data and voting registration laws would have to be revised to reflect mobile tracts, as would mail delivery and addresses, school attendance and political representation. New methods of collecting GIS (geographic information system) data would have to be developed for mapping and measuring such dynamic populations. The dark side of such transient dwellings is their enhanced ability to vertically separate people by economic class. Residential altitude is directly associated with economic level. Over half the deaths due to natural disasters in the world are associated with flooding. People in poverty are more likely to live in low-lying areas subject to flooding. In the U.S. the 9th parish of New Orleans is an example of one impoverished community vulnerable to floods. Relatively few people with middle to upper income levels drowned in the 2004 tsunami floods, with the exception of resort vacationers. Dystopias in fictional literature and film depict the rich and privileged living above the city, sometimes even above the clouds. Historically, building castles on inaccessible bluffs or hilltops was pragmatic; it provided protection from invaders. The early industrial age practice of building posh estates on hillside summits while the working class labors below was vertical classism. Gravity technology merely offers a means to exercise this classism to a degree never before realized by even the loftiest of penthouse dwellers. Semantic Revolution: Uplifting or Grave? Often the most significant influence of a technology is its ability to evolve new ways of thinking. In the English language gravity is a synonym for weightiness, importance, severity, consequence and somberness. Its antonyms include levity, buoyancy, flightiness and light-heartedness. Gravity is directional, always downward. Gravity fights us in old age eventually and irreversibly pulling us to our grave (same Latin root as gravity). Any physical demonstration that gravity is not constant would be a significant technical revolution. Similarly, a new mental construct that gravity is variable, pliable, even reversible would precede a significant semantic revolution. During the Renaissance the rediscovery of the technique of perspective drawing changed more than just how art was made. The discovery that every person’s point of view is different yet just as valid as another’s viewpoint changed social discourse. The resulting enlightenment expanded to other vistas of politics, religion and literature. These are just some of the ways that Western culture expresses itself vertically. So in addition to changing the physical world, a potentially greater impact of gMod is how it might challenge us to think about ourselves. Remarkable new technology can be viewed as mundane and treated quite ordinarily after only a few decades of use. The technology begins to blend into everyday life, becoming background rather than foreground. Finally, it begins to show up in the least expected places, even pervasively imbedded in everyday objects. For example: holograms on credit cards, solid state lasers (LEDs) in outdoor holiday lights and computer chips in refrigerators. We’ve yet to see a verified demonstration of modified gravity (gMod), but assuming it is successfully introduced, the technology will eventually become a part of the background. In the first three parts of this series the gravity modifying device invented by Marcus Hollingshead was explained, and its potential for commuter gravityships and floating architecture discussed. All of this will become possible if the device’s ability to “lens” gravity is real. But not all applications of gravity control have to be as attention-grabbing, or as trite, as flying cars. This segment looks at the full range of gravity field effects claimed by Hollingshead and some of their potential applications. 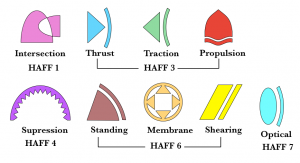 Information on the fields is sketchy, but we include a look at HAFF1 intersecting fields, HAFF3 (thrust/traction/propulsion) applications, HAFF4 (atomic suppression), HAFF6 (standing/membrane/shearing) and HAFF7 (optics). HAFF2 and HAFF5 have not been described or attributed to specific applications and their nature has not been made public. Each of the application areas described below is followed by a small icon indicating the suggested field type involved. The application areas all have some social or economic benefit. Some of their uses may be annoying, but they are not purposefully abusive. Part 5, the final submission in this series, will explore some of the potential abuses. – The science fiction film “Minority Report” depicted biometric-based advertising systems based upon personal retinal scans. It was invasive, persistent and terribly annoying. Gravity platform billboards might not be as annoying but would be similarly persistent by enabling the billboard to relocate. It would travel to the areas most visited by its target customers. So billboards well positioned along roadsides during rush-hour traffic jams might seek out their audiences downtown during the work day. – Bed sores can lead to life-threatening conditions for quadriplegics, such as the condition that led to the death of actor Christopher Reeves. Microgravity, produced by inverting traction fields, has the potential to prevent bed sores and aid in the healing of severe burns through reducing patient weight. Placing the full weight of a body on second and third degree burns is not only painful but also retards healing and contributes to breaks in the skin, which are potential sites of infection. – NASA scientists have established that long periods of weightlessness produce medical complications. Astronauts are known to lose bone mass and experience muscle atrophy while in weightless conditions and suffer from weakened immune systems. Though muscle atrophy can be blocked by disrupting gene activity associated with it, the weakening of the body’s immune system and its resultant lower ability to fight off infection provides a challenge for long-duration space flights. The use of artificial gravity for lengthy space flights would help astronauts maintain their health during transits. – Applying a traction or thrust field to produce mechanical loading above 1G could also have benefits. Hypergravity is already known to increase the proliferation of bone cells through increased gene expression as well as mineralization and bone growth. This could be an excellent tool for athletic conditioning as well as physical rehabilitation. It might also be beneficial for reversing osteoporosis and in decreasing the healing time for broken bones, yet the potential for damage to other tissues will require monitoring. – Once space tourism is introduced at Virgin Galactic’s spaceport later this decade, Space sports will quickly follow. The Zero Gravity Corporation is already offering parabolic low altitude flights where you can play dodge ball, tag and paraball (parabolic football) for short periods of time in zero-G.
Actually, sports approaching zero-G are fairly common today even without use of parabolic trajectories. There are several sites across the United States providing indoor skydiving sports using vertical wind tunnels. Indoor skydiving gives participants a stationary wall upon which players could touch spots for points or insert objects into goal-pockets, making a good approximation of true zero-G sports. Using gMod microgravity would allow terrestrial zero-G sports over longer durations and wider areas. So what are now brief experiences in confined aircraft or vertical wind tunnels may become full stadium sporting events. – In addition to flying broomsticks and jalopies the Harry Potter books also introduced children and adults to Quidditch, the game for wizards played on flying broomsticks. No doubt a mock version of this fantasy game would be an early candidate for sports licensing once a gMod version of the Nimbus 2000 broom becomes available. Those ill-tempered Bludgers could be a problem, though! – Rescue and safety applications could come from almost any of the HAFF fields. For example, standing fields create high vacuums within their volume. Fire fighters would be able to remotely place and trigger a gravity-lens “bomb” able to extinguish fires by depriving combustion of oxygen. HAFF6 fields can also reduce temperature. A minimally operating field could project a protective low temperature barrier around fire rescuers, assuming they can maintain their own air supplies due to the vacuum produced. – A small propulsive field gMod device could be used to evacuate people from buildings. Evacuees could attach themselves via strap or other means. This could make possible extraction vests for occupants of tall buildings, ocean vessels in rough seas or soldiers in indefensible combat positions. – Standing fields can apply a pushing force at a distance. This would be useful for sweeping over lands containing mines or unexploded munitions after a military occupation. Arrays of such sweepers configured to pulse “fingers” of force deep into soil and sand could float over suspected minefields detonating and clearing large areas of explosives. – Each year hundreds of people drown by falling through thin ice on lakes and rivers. Devices gauged to simulate the weight of people and vehicles could quickly traverse waterways and accurately assess the safety level for the public during winter months. – Suppression fields inhibit atomic motion and could be suitable for controlling the rate of chemical reactions in batch processes or refineries, especially when other controls are impractical or prohibitively expensive. – The stasis effect of suppression fields could also constrain the shifting of liquids and granular materials during transport in semi-trucks and train cars. This would reduce the likelihood of spillage or accidents due to shifting loads. – HAFF6 standing fields can create a vacuum by dispelling air molecules and other gases. This would be useful in any industrial process requiring vacuum environments such as metal deposition and coating or vacuum processing of food products. – Standing fields could also be used in redirecting and controlling the flow of bulk materials at a distance, especially those unable to be supported by traditional off-feed tables or rollers. Examples include molten materials or very light/sticky materials. – Shaped shearing and standing fields make good cutting, boring and shaping tools. They could be used to replace some common manufacturing techniques such as the shearing, explosive forming or punching of thin metal sheet (Hollingshead once relayed how his fields could punch through thin copper sheeting [pdf download]). – Standing fields could also be deployed to isolate workers and materials from sparks, noxious gases and particulates, while membrane fields could be selectively tuned to block ultraviolet or other short wavelength radiation produced in arc welding. – Hypergravity fields also have their uses in industry. Maintaining a contained and concentrated zone of compressed gases would aid in TIG welding and other fabrication techniques requiring the maintenance of inert gas atmospheres around a specific work zone. – The compression of small gas bubbles with intense sound waves has been shown to produce temperatures of millions of degrees hotter than the surface of the sun. The technique is known as sonofusion. Combining sonofusion techniques with intense standing fields might help generate the compression forces needed to produce desktop fusion. – A uniformly accelerating system is considered equivalent to a local gravitational field according to Einstein’s Principal of Equivalence. Under this principal the difference between centrifugal forces and gravity cannot be distinguished by an observer inside the system. Therefore any laboratory process requiring a centrifuge to separate or filter materials by their specific gravity could be reproduced by a gravity-lensing field. Such filtering could be applied to the bulk separation of liquids and gaseous aggregates by their specific gravity. – Hollingshead reports that membrane fields can be tuned for selective porosity or permeability. They can be tuned for specific electromagnetic wavelengths as well as specific elements (though it is unclear if he is referring to the actual atoms or just their spectrographic signatures). This could enhance lab methods for selectively tuning light, or the filtering of chemical elements. – HAFF7 forces influence the path of visual light and other electromagnetic waves. Optical fields could presumably be used to create and control virtual lens shapes. This would make possible new dynamic optics for microscopes, cameras or telescopes. Hollingshead also mentions 3D displays but doesn’t indicate if it’s the shape of the field itself that imparts the dimensionality or other 3D effects such as holography (see Gravitonics below). – Standing fields could provide temporary support walls while digging wells or trenches. They could be erected quickly, keeping mine and tunnel workers safe from the occasional wall collapses that occur. – Buildings equipped with emergency generators could insure their operation during adverse weather by surrounding them with standing fields impervious to flood waters. The more extensive use of standing fields to aid in the structural support of buildings exposed to high winds and earthquakes has already been discussed in Part 3 of this series. – For several years the use of liquid crystal laminates in glass has given homeowners the ability to “tune” the opacity of their windows. Standing fields could be used to actually become the window, without any physical glass at all. And membrane fields could allow the windows to be “tuned” selectively for wavelength of light. – The propulsion possibilities of gravityships has already been mentioned in Part 2. Even small gMod devices could similarly provide lift-assist in dirigibles and maglev (magnetic levitation) trains. Used in the conventional family car they could reduce the friction on wheel bearings, lower operating temperatures and improve fuel efficiency. – Another aspect of HAFF3 fields for propulsion is their ability to impart inertia-less turns if all of the mass is completely contained within their field. This would make possible platforms able to literally “turn on a dime”. Why risk traffic accidents with police squad cars in high-speed pursuit when you can just follow the suspect vehicle with a camera platform capable of sharp turns reminiscent of “billiard ball” rebounds? – Standing fields reportedly can be shaped. Such fields would be suitable for forming aerodynamic airfoils and shapes for submersibles. But since standing fields also expel air and produce low temperatures, creating a comfortable compartment for passengers requires additional engineering. – HAFF1 intersecting fields are supposed to be able to intersect HAFF6 fields without destabilizing them. Intersecting fields could possibly be used to form an isolated pocket maintaining an inner atmosphere and temperature within a standing field, although at this juncture it is not certain. – Autonomous floating platforms could provide greater security by placing surveillance cameras wherever desired. These could be seen as additional intrusions into our private lives, however. Our assumptions of privacy have already been abrogated by street surveillance cameras and other security systems. Platforms merely continue the trend. – The security of children is a constant concern of their parents. 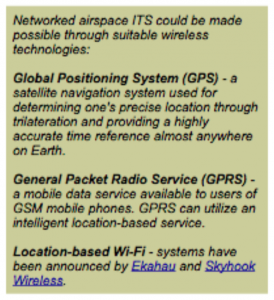 Technologies that can track and locate children today through GPS and Wi-Fi are passive systems. A gMod platform that accompanies a child and acts as a Wi-Fi networked autonomous agent would provide a proactive level of security. Each platform could perform as a child’s personal tinkerbell providing overhead light when it gets dark, surveilling the path ahead, or even becoming an umbrella when it rains. – Gravity and electromagnetics are two of the four forces of nature. If gravity-lensing devices are found to manipulate gravity as easily as we currently manipulate electromagnetics (electricity, light), then might we look forward to a gravitational equivalent of electronics and photonics; perhaps gravitonics? Are there gravity applications analogous to transistors, lasers or holograms? In Part 5, the final part of this series, we will review Negative Outcomes and a reality check on the claims by the inventor. Until experimental claims can be independently verified the speculation about modified gravity will continue. However, a recent revival of quantum theories related to gravity-like forces and interest in the work of early experimenters in gravity effects has produced a spate of renewed attention in recent months. Like any technology, the outcomes of modifying gravity can be positive or negative. In Part 4 we looked at positive outcomes in the form of beneficial applications. In addressing negative outcomes the concerns addressed here are primarily with abusive (if not dangerous) applications. What are the downsides and potential abuses of gMod and how serious are they? Abuses include the potentially injurious or harmful outcomes during normal usage. They also include purposeful intent to the detriment of people and society. Let’s start with the worst of the worst and finish the discussion with malfeasance and poor taste in usage. Finally, we’ll look at the veracity of the inventor’s claims. Terrorism concerns are a daily reality. Could gMod technology facilitate terrorism? Not likely. Lower tech methods like shoulder-fired missiles, shoe bombs and box cutters are more likely technologies to be employed. Less obvious uses of gMod … such as centrifuges … may pose a greater terrorism hazard. A uniformly accelerating system is considered equivalent to a local gravitational field according to Einstein’s “Principal of Equivalence.” Laboratory centrifuges accelerate and spin samples separating liquids or gases by their specific gravity. The action of gas centrifuges could be reproduced by an intensifying gravitational field. Gas centrifuges are complex yet effective tools to separate uranium isotope gases for the enrichment of nuclear fuels. Remember the discovery of aluminum tubes in Iraq before that war? Their potential role in gas centrifuges became one of the evidentiary claims of pre-war “intelligence” that led to the invasion. There is the possibility that intensified gravitational fields may be capable of producing enriched nuclear materials just as gas centrifuges are. If gMod centrifuges are a less expensive and complex proposition than gas centrifuges then they may contribute to making even small nations potential members of the “nuclear club”. However, as with any nuclear technology, it is access to the unrefined nuclear fuel sources that really matter. – As a means for theft, a gMod device could easily be used to gain access to fenced-in areas such as open storage facilities and make off with any goods literally not chained down. Similarly, apartment/condo tower dwellers who currently feel safer on upper floors would have reason to feel less secure. They would be as vulnerable as any other homeowners – perhaps more so if they continue to hold on to their unsubstantiated sense of security. Every window and balcony door would have to remain locked and security-armed as if were on the first floor. GMod will no doubt be a boon to the security industry. – Stealing goods is one issue – hiding them is another. GMod platforms could potentially be used as floating storage spaces for stolen items. This would make the job of the police more difficult as they would need to coordinate with other agencies such as the FAA to do radar sweeps ferreting out caches of goods floating in the sky. – Jailbreaks using helicopters are the stuff of made-for-TV movies, but they have happened. If gMod vehicles are developed with profiles smaller than helicopters then there is little doubt some daredevil will attempt this sooner or later. Meetings of the G8 and World Bank gave law enforcement a taste of how cell phones and other electronic communications devices can enable smart mobs and other quickly assembled/dissembled crowds for protests. Law enforcement is fighting back with new high-tech weaponry. Already, microwave weaponry for “crowd control” has been developed. So would it be too far-out to suggest that law enforcement might control crowds by using wide-area hypergravity of 2 or 3 gravities to restrain or slow protesters? Surprisingly, gravity-lensing might also be used as a tool to promote religious dogma. The rebuilding of the Second Temple is considered by some religious groups to be one of the signs of the arrival of a Messiah. There are currently plans to build a virtual holographic Second Temple of Jerusalem projected as a hologram over the site of the Dome of the Rock. If gravity platforms were available to lift structural buildings, what would keep religious activists from floating a real temple over the site to achieve their ends? – The potential use of gMod as delivery platforms for explosives would be no real surprise. However, there are already a wide range of potential delivery vehicles including missiles, piloted aircraft, conventional UAVs, mortars and many others. So a gMod delivered payload would offer no inherent effectiveness over that of traditional delivery. – There are some unconventional applications that could benefit the military, such as gMod devices developing short bursts of intense gravitational waves. These could be used to collapse bridges, buildings and other military targets as a means for denying an enemy cover. Such weaponry might be used in a “crumple effect” pulling structures in on themselves. While the end result of demolition would be the same as bombing, it would minimize collateral injuries typically produced by shrapnel ejected in explosions. Whether this is abuse of the technology or not is open for debate, but if there is value for military applications it certainly will be considered. As mentioned in Part 4, low-payload gMod devices might be used as camera platforms. Any floating platform technology would immediately have an impact upon individual privacy and security. Occupants of high rises would no longer see their residences as being more private if camera platforms were able to easily reach the highest windows. Privacy would be diminished until other safeguards, such as HAFF field jammers, could be developed to ward against invasive camera platforms. 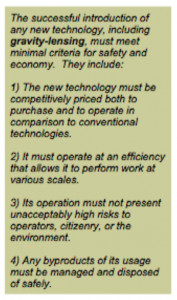 If low-impact operating parameters can be achieved (e.g. quiet, low energy demand, stealth) this could be some spy agency’s new tool for (hopefully) foreign surveillance. Part 2 of this series looked at architecture and the continuation of vertical classism. It is clear that until personal gMod technology becomes widely available it will be expensive to own and be employed only by the affluent. This is to say that it would become the latest “divide” between people with very high and very low income levels. Clearly, flying cars and floating homes are not necessities of life, but they would become indicators of privilege that (as they float overhead) are impossible to ignore. – Joseph Schumpeter’s notion of “creative destruction” suggests that an essential part of capitalism is to have radical innovations supplant old ideas and break the back of virtual monopolies. Any impacts of HAFF technology on transportation, manufacturing, land development and other sectors of the economy would have to be considered a threat by those with existing stakes in these sectors. – As a presumably all-electric competitor to oil-fueled vehicles, widespread usage of gMod would increase electrical demand and likely decrease fuel demands. Though oil consumption might be lowered, niche vehicle production would increase as “early adopter” markets are identified and filled. These specialty markets might be filled by manufacturers of niche transportation vehicles such as snowmobiles and ATVs and not the major automotive manufacturers. – Hollingshead mentioned in his September 2004 interview with Tim Ventura that versions of his device produced byproducts, presumably from the isotopic decay of elements in the central “RP” of the device. If these remain a by-product of HAFF devices and if deemed hazardous they must be contained and disposed of properly as mentioned in Part 1. – The RP is composed of layers of insulators and iron. Iron also exists in free form in the human body and as a component of proteins in blood. Shielding the iron in the human body from such an isotopic conversion would be a prime concern. In addition, exposure to oscillating magnetic fields of high intensity are always a concern to users whether the source is a sewing machine or gravity-lensing device. – Some uses may just be unappealing to some cultures. It was already mentioned in Part 3 that the words grave and gravity have the same Latin root. We have already seen crematory ashes launched into space as a challenge to long-held assumptions that our final resting places will be in the ground. GMod would allow permanent floating cemeteries to be established for those wishing to remain within the confines of the Earth, but a little closer to their spiritual “home”. Above-ground burial is not uncommon (e.g. mausoleums) and raising the remains of the deceased to the sky harkens to the burial practices of some Northern American Indian cultures. However the sensibilities of other cultures may find the practice unsettling. Final Thoughts … are the Claims Real? Antigravity devices have been described in fiction literature for over one hundred years. Pursuit of modified gravity is considered by some to be no more a legitimate pursuit than that of perpetual motion. Dozens of alt. sci. (alternative science) Web sites discuss theories of antigravity as well as tapping into zero-point energy and the development of overunity devices outputting more energy than is seemingly input. Casual investigators will find many sites devoted to these topics including Tom Bearden’s website, JNL Labs and Keelynet. Antigravity and overunity are sometimes cited as the modern day equivalents of alchemy. Yet even Isaac Newton, an icon of modern science, wrote extensively about and experimented in alchemy. Certainly much of the terminology (e.g. gravitomagnetics, torsion fields, zero-point energy) employed in modified gravity research is directly pulled from the mainstream works of noted physicists such as Mach, Einstein, Cartan and others. Do any modern theories support Hollingshead’s claims? The German physicist Burkhard Heim’s quantum theory was developed in the 1950’s. He never attended conferences due to his physical disabilities and rarely published. His theories are not well known but are undergoing new critical reviews. Among other outcomes, they predict the mass of atomic particles with unmatched accuracy, plus the existence of two additional fundamental forces of nature. One of those forces, imparted by particles called gravitophotons, theoretically would allow the conversion of an electromagnetic field into a gravitational-like field. Conversion of EM into gravity is the basis of Hollingshead’s claim as well as others including Profs. John Searl and Eugene Podkletnov. If Hollingshead’s device does not work there will be two likely explanations. Either he fooled himself or he fooled us. Thousands of products developed with good intentions by major corporations fail to make it to market each year. Sometimes the market isn’t there to support it. Sometimes the cost is just too high to produce it or it’s too hazardous to operate. And sometimes it just doesn’t work as expected despite everyone’s best efforts. The inventor might have fooled himself. If it is we who are fooled then we will have had a good laugh at our own expense. And this wouldn’t be the first time for such spoofing. The Sokal Hoax involved a published article entitled (coincidentally) “Transgressing the Boundaries: Toward a Transformative Hermeneutics of Quantum Gravity” submitted in 1996 by physicist Allan Sokal to see if a “leading journal of cultural studies [would] publish an article liberally salted with nonsense…” The result was an embarrassed editorial staff at the journal Social Text. A harsh lesson for the editors, but it was initiated with a genuine sense of intellectual curiosity from Dr. Sokal. What have been the main criticisms of Hollingshead’s claims? There have been four primary ones: two question the technical specifications, two deal with trust. One engineer tested a replicated component of the device and calculated that if powered to the specified limit it would have “exploded with the force of a hand grenade after maybe 100 microseconds.” Others have suggested that a few of the dimensional specifications of the device that were leaked would not allow it to rotate properly. Some of the early Magnetic_Levitation newsgroup members in close contact with the inventor became skeptical in 2003 when a public demonstration was cancelled at the last minute. Others were frustrated when photos and actual sample devices were not shipped to testers as promised. There has also been no independent replication or critical peer review of his experiments – all of which are elements contributing to the gold standard for scientific validation. But others say Hollingshead’s reticence is justified by the legal issues surrounding the filing of patents. Personally, I like his self-deprecating sense of humor. He identified himself as “wingedpiguk” on the online chats in homage to his farm’s two porcine pets and, wryly, that antigravity would happen “when pigs fly”. That’s the sort of self-unimportance that reinforces my suspension of disbelieve for a bit longer. Hopefully, we will not have to wait another year to put this speculation to rest. Gregory Daigle is a consultant in social technologies and e-learning, and a former professor of industrial design. This is the final submission in the “Designing a World without Gravity” series.